DAY OF THE DEAD at El Mercado Popular is this Sunday, November 5, 2012!!! 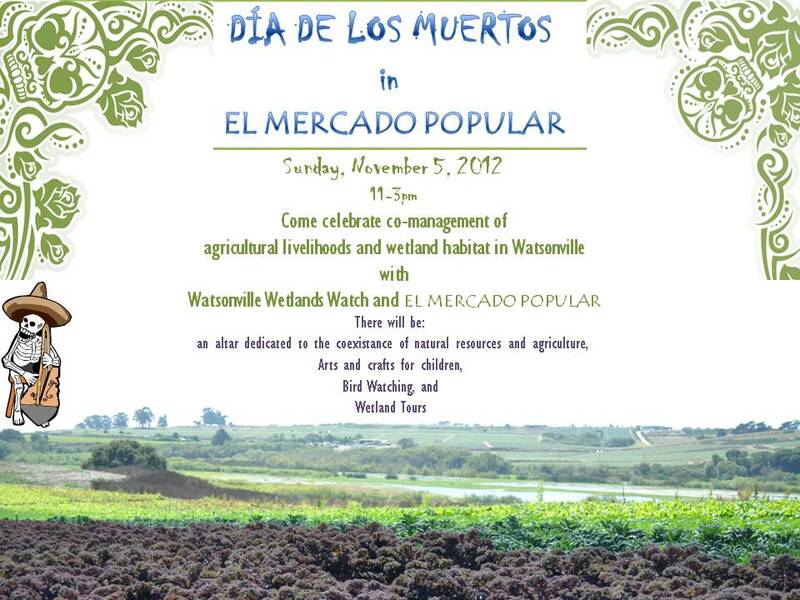 In conjunction with Watsonville Wetlands Watch, El Mercado Popular is throwing an environmental-themed Day of the Dead event. This will be the first of many enviornmental intrepration events taking place at the market. We will construct an altar dedicated to wetlands, wetland wildlife species in peril, indigenous groups once dependent on wetland resources and also to farmers and agriculutre. What do they all have in common? Aside from being quite important to the identiy of Watsonville, they are all in peril! We are losing family farms and number of farmers in the US just was wetlands are disapperang around the world. Watsonville Wetlands Watch is playing huge part in this event! They even changed the dates that they are normally at EMP to participate! 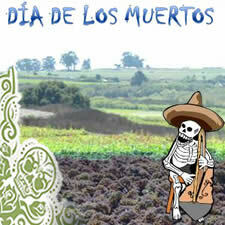 They will be hosting bird watching, and Day of the Dead activities for children. The sugar skulls and animals the kids make will be placed at the altar, located by the farmers market section! Please come out and enjoy the festivities!